Need to find out what a classic or exotic car is worth while you’re on the go? 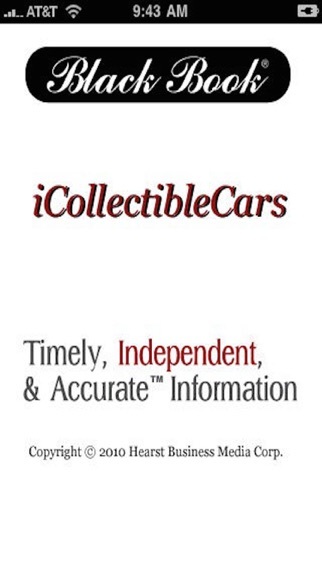 Black Book’s latest Mobile Solutions application, “iCollectible Cars” provides you with instant access to Black Book’s timely, independent and accurate values directly from the industry’s leading valuation guide, “CPI”, Cars of Particular Interest®. You’ll have everything you need to properly value classic, exotic, high line, and ultra premium vehicles. 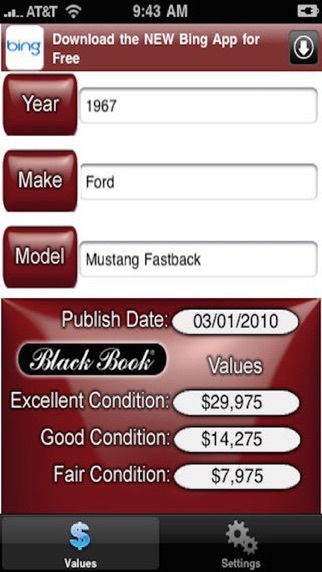 Unlike other applications that may report outdated information, Black Book’s iCollectible Cars app is updated at least six times a year, so you always have the right value. Now, you’ll be able to tap into Black Book’s extensive database which contains tens of thousand of collectible vehicles dating from 1946 to current model years. 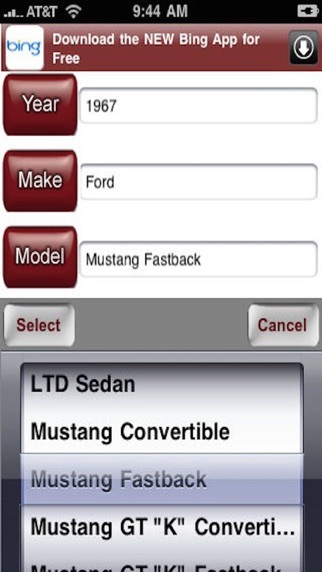 Features include drilldown capability for easy vehicle lookup. Three market driven Retail Black Book® values are available: Fair, Excellent, and Good. With Black Book, you’ll always have today’s value. They say they update frequently, but they don't state they will charge $40 every time to update. Very misleading info in their description.